The same goes for fortified foods. There's a good reason for this. Synthetic vitamins are cheaper to make and usually more stable. This means they can last on shelves for months or years, be added to foods in high doses, and create dense tablets that won't be too big to take along with some fillers and binders. These vitamins are allowed to call themselves “natural” even when they are synthetic because they are considered virtually identical to the ones found in food. 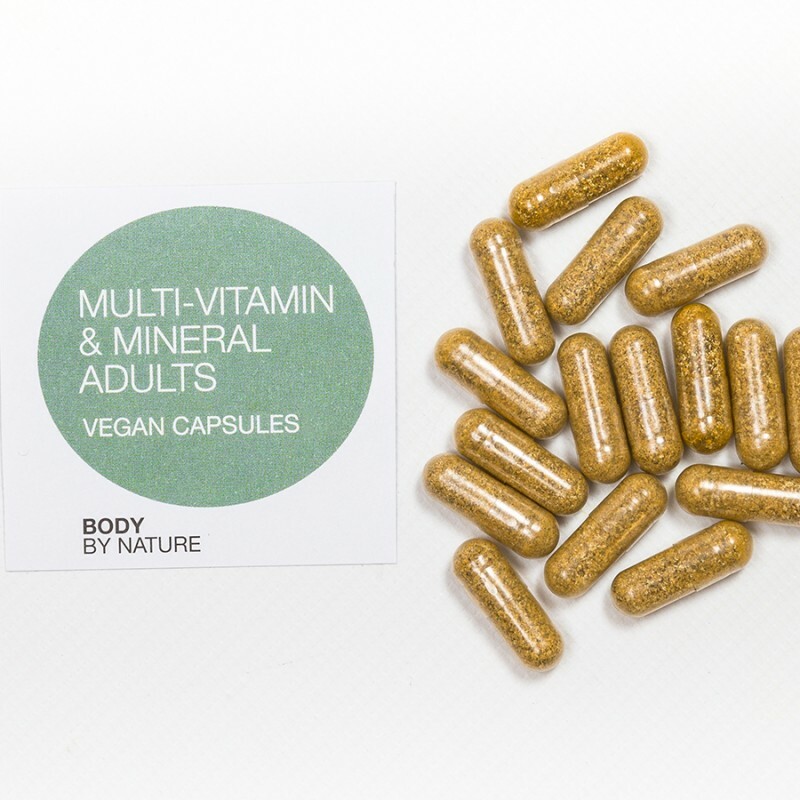 Our wholefood Multi-vitamins are safe, clean & contain NO bulkers or fillers. Adult Multivitamins and Minerals offers a full spectrum of nutrients for your physical and mental well being. A one-a-day Food State multivitamin and mineral – uniquely provides nutrients in the same form as those in food Provides good all round nutritional baseline support. Now with 20μg of vitamin D High levels of other vitamins and minerals including Vitamin B, Calcium and magnesium. Suitable for anyone and everyone. Suitable for vegetarians and for people with Candida. Free from Genetically Modified Substances. Body by nature's Wholefood supplements are unique in that they are made from minerals that have been hydroponically-grown into a cruciferous vegetable that is a member of the broccoli family of vegetables. This plant is an edible species which has a great capacity to bio-accumulate high levels of minerals to enable good levels to be achieved in small doses of supplementation.Our most comprehensive Wholefood Multivitamin and mineral formula available incorporating antioxidant CoQ10, Beta Glucan for immune support, and good all round vitamin & mineral levels including optimal levels of vitamin D3 & vitamin B12. This formula now includes additional phytonutrients and Acerola Cherry rich in vitamin C and carotenoids. The power of CoQ10, CoQ10 has many benefits when consumed on a regular basis such as; Protection of the oxidation process which results in a healthy functioning heart. Dramatically increase energy within the body. Studies show that Migraines can be prevented in as much as 50% of people over a month period. Blood pressure can be lowered using our supplement and research shows it’s as effective as traditional pharmaceuticals. CoQ10 manages this without the damaging side effects that most pharmaceuticals bring. These are the only genuine Wholefood supplement products on the market, and early research testifies to their superb bio-efficacy. All our Wholefood products use food metabolic pathways, are suitable for vegans and in capsules. At Body By Nature we sell all our products in a ‘whole food’ or ‘food state’. Your body recognises this and therefore each and every Vitamin and mineral will nourish and maintain areas which need it most.